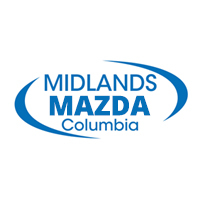 Make the trip from Irmo to Midlands Mazda today and check out our selection of new Mazda CX-3 crossovers, and see how it compares to other vehicles like the Mazda CX-5. While you’re here, take advantage of our competitive financing and lease rates, and work with our sales team to make sure you’re getting the right vehicle for your money. You’ll be in a new Mazda and on the road of Lexington in no time. Be sure to check out our low mileage used cars to get a great deal on an affordable model!